Get to the bottom of Bayport’s biggest mysteries with expert kid detectives, Frank and Joe Hardy! 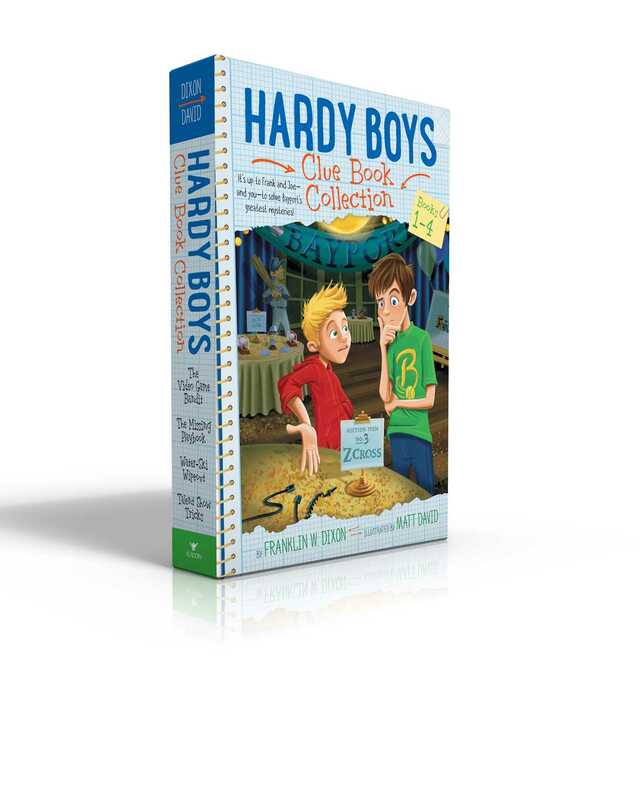 Follow the clues to find the totally awesome—and mysteriously missing—video game system, figure out what happened to their baseball team’s top secret playbook, track down Joe’s water-skis, and uncover the talent show prankster with the first four books in the fun and engaging Hardy Boys Clue Book mystery series! This boxed set includes The Video Game Bandit, The Missing Playbook, Water-Ski Wipeout, and Talent Show Tricks.